While working as a monumental artist for many years, I realized I wanted to take BC’s cemetery memorial industry in a new direction. 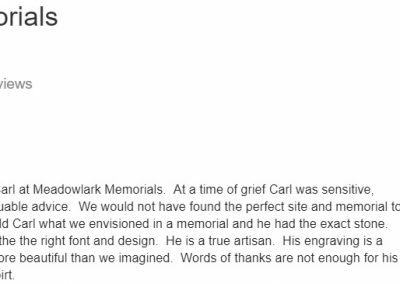 I set out to start a company that would always put the family first, working closely with them to design highly personalized monuments of the finest quality and craftsmanship. 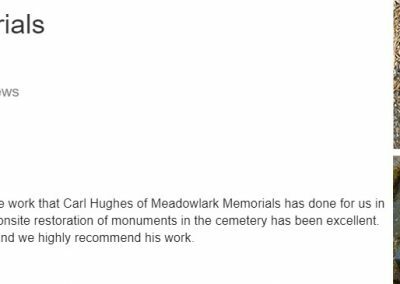 In 2015 I partnered with my own family to found Meadowlark Memorials. 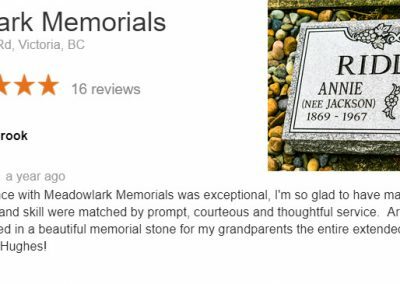 Together we bring more than 70 years of experience in the memorial business to Vancouver Island and greater Vancouver. Attention to detail and artistry. These are qualities we are proud to bring to every monument. But not alone. We want to learn about your loved one. And we will offer professional advice. Together with you, we will decide on the best way to commemorate their memory. We understand that a monument should be as unique as your loved one. It should carry their personality and your message of love. It should be crafted to stand forever. Our brochure features original designs and shapes that cater to all budgets. We use the latest computer software to provide a scaled image of the memorial for approval prior to manufacturing. 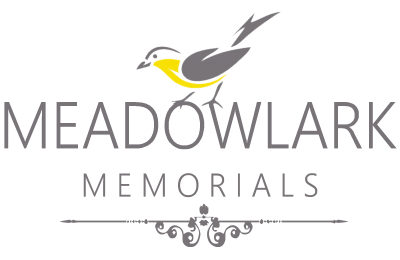 Meadowlark Memorials also offers fine art, hand etching on granite to truly customize your memorial. 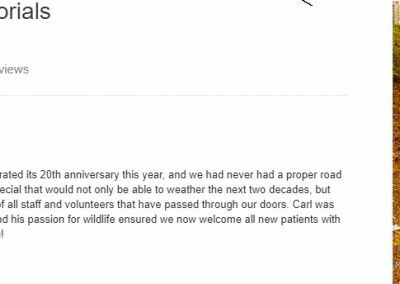 What our customers are saying about our craftsmanship and service.